Now with an Eastman case. Last edited by Tabor on Sun Jan 13, 2019 4:48 pm, edited 9 times in total. Thanks for the bump. I think it is a good one too. It seems more open than my BBb and that 5th valve is the opposite of stuffy. 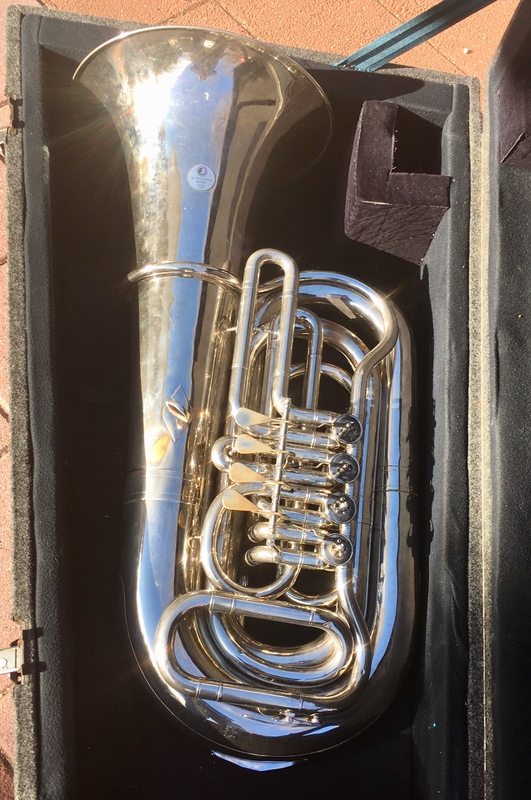 It could be a good deal for someone too, because I often consider trades for part of the cost, or even all of the cost for the right tuba or tubas. That would be a very large stocking. But yes, the stocking is officially stuffed. I think this is a pretty darn good CC tuba right now. Price dropped $2,200 down to $3500 to help you afford it, or trick it out even more. Last edited by Tabor on Tue Jan 08, 2019 10:58 am, edited 3 times in total. Another bump for Tabor. I had a BBb tuba I bought from him a few years ago that had a wonderful sound, great craftsmanship, and was just a spectacular horn. Tabor really knows what he’s doing, and whoever purchases this will be getting a wonderful deal. Dubby wrote: Another bump for Tabor. I had a BBb tuba I bought from him a few years ago that had a wonderful sound, great craftsmanship, and was just a spectacular horn. Tabor really knows what he’s doing, and whoever purchases this will be getting a wonderful deal. What are the measurements like on this? I'm guessing probably 19-20" bell? 37-38" tall? Alecgrinage wrote: What are the measurements like on this? I'm guessing probably 19-20" bell? 37-38" tall? 19.5 inch bell. I think it is closer to 33 inches or so tall...about like a York or Holton monster Eb in height. 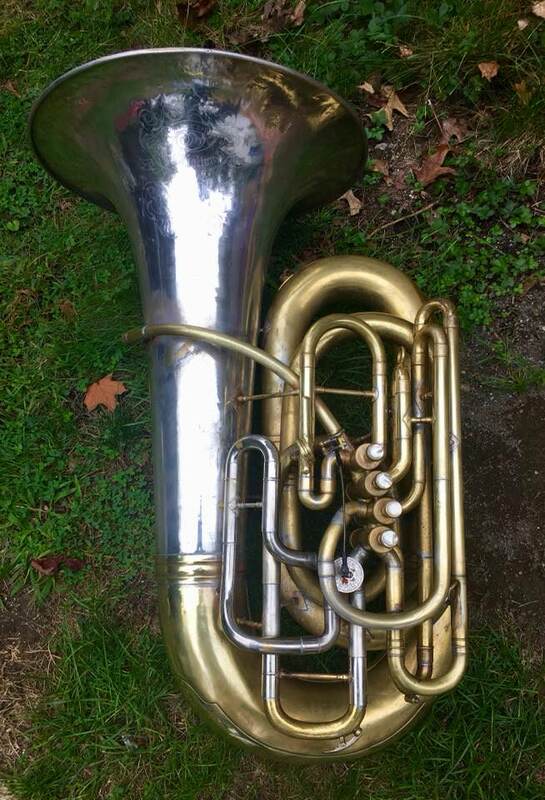 I also have 2 good BBb tubas that need new homes. Now I’m down to this one & a St. Pete with a great case. Now includes a rolling Eastman hard case. Sent PM on Facebook messenger.